We are a small business & build all of the pack gear in our shop to guarantee the best quality possible. 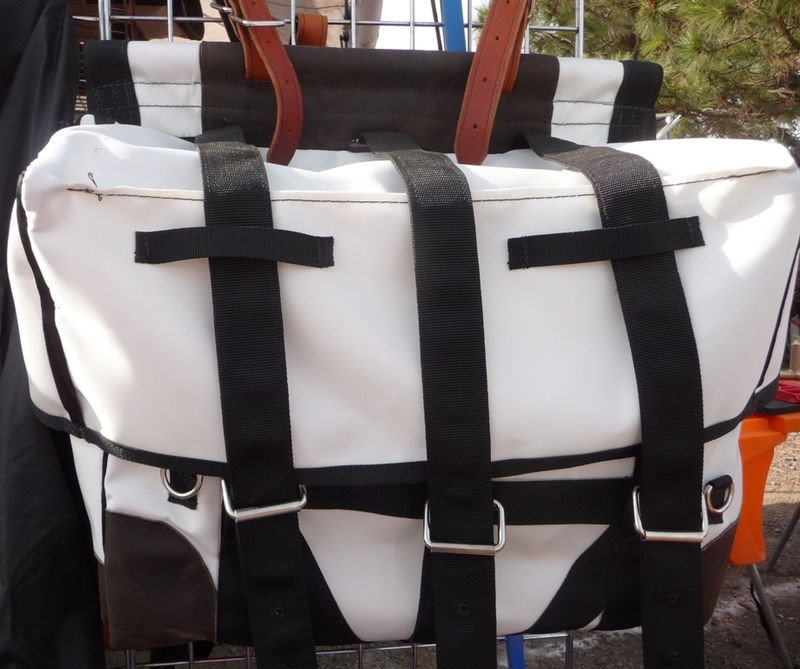 We offer our popular Bear/Iron Cloth Pack Pannier in a white colored, light weight design. The Panniers are made out of a 17 oz. Armor Duck material and only weigh 8 lbs each. The corners and ends are reinforced with a 7 oz., oiled chap leather. 3 x 2" heavy duty polypropylene webbing is sewn all the way around the pannier to give it great stability. 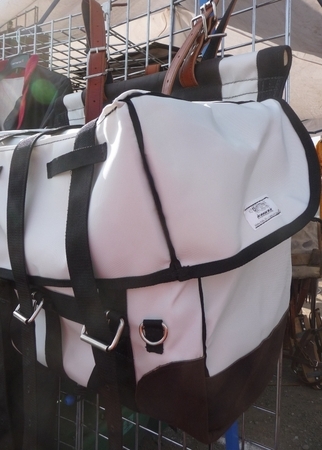 A 2 inch ring on the back of each pannier bag can be used to tie it down to the pack saddle. 2 x 1 1/4 in. wide by 44 in. long leather top straps are lined with the same heavy duty webbing to prevent stretching. The contoured lids keep dirt & water out. Sorry, this item does not have a video. HOME | SHIPPING INFORMATION | ABOUT US / CONTACT | PRIVACY & RETURN POLICY | SITE MAP | VIEW CART© Copyright 2007 - 2018 Outfitters Pack Station All Rights Reserved.